For ither uises, see Celtic Football Club, ither meanins, and Celtic (disambiguation). Celtic fitbaw Club (soondit [sɛltɪk] or [sɛlʔɪk] in Glesga Scots) is a club, that's competin in the Scots Profeeshunal fitbaw Leegue the nou, the heichest form o competeition in Scotland. The club is based in the east end o the ceity o Glesga. The club is offeicially nicknamed the touchers, an unoffeicially the Hoops. The team plays aw thair hame gemmes at Celtic Pairk (whiles kent as Paradise or Parkheid), an it's the maist muckle fitba grund in Scotland, an the seicont maist muckle club in the Unitit Kinrick. Celtic Pairk for ordinar attracts 57-60,000 fowk tae a hame gemmes an that means that Celtic is anerly seicont tae Manchester United in terms o average attendance records in Breetish fitba. Alang wi thair rivals, Rangers F.C., Celtic haes been in amang Scots fitba for ower a 100 year as pairt o the Auld Firm, makkin it ane o the auldest, maist weel-kent an fiercest rivalries in sport. The club haes tradeitionally been identifee'd wi the Erse-Catholic fowk o Glesgae. Celtic's hame kit is green an white strippit taps, white shorts an white hose. In 1967, the club becam the first Breitish team tae win the European Cup that haed anerly been won bi Italian, Portuguese an Spainyie clubs afore. Afore Celtics's historic win, nae ither club in the hale o Northren Europe haed won the European tournament afore. Mair oot ower, Celtic bides the ae Scots club that's iver won tae the feinal, an is the ae club that's iver won the trophy wi a team o hame-grawn talent; a the players in the side war Scots, an aw wis born athin 30 mile o Celtic Pairk in Glesga. Celtic, ance ower, wan til the European Cup feenal in 1970, juist tae be defeatit bi Feyenoord efter extra time. Short syne in 2003 Martin O'Neill led the team tae the UEFA cup feinal in Seville whaur thay war nairae beat 3-2 bi F.C. Porto, ance mair, efter extra time. The bidin myndin o the feinal wis the green and white invasion o Seville. Ower 80,000 fans wis thocht tae hae been thare in tot includin flichts tae ither Spainyie an Portuguese airports an fans that wis incorporatin thair simmer halidays alang wi the trip. Ither fans e'en drove frae Glasgae tae Seville an aw. Due tae the guid naitur o baith Celtic fans an the locals, strang freendships cam aboot, an Celtic's fans wis honoured wi the 2003 Fair Play Awairds frae baith the UEFA an the FIFA. Celtic haes a guid freendship wi monies a team athort the hale warld. Juist a puckle o the ithers that the Celtic team haes fund freendship wi wi ower the years is St. Pauli, Liverpool, Villarreal, Sevilla, Real Betis an Dinamo Zagreb. Thanks tae aw thae freendships Celtic haes monie fowk that follaes Celtic when thay play awa in Europe. Fowk frae kintras sic as Germany an Croatia is for ordinar seen amang the Celtic fans in Europe an is well kent an respectit. Main airticle: History of Celtic F.C. Celtic Football Club wis foondit at a meetin in St. Mary's Roman Catholic Kirk haw on East Rose Street (nou Forbes Street), Calton, Glesga, bi an Erse Marist monk cried Brother Walfrid on 6 November, 1887. The chairity establisht bi Brither Walfrid wis cried The Poor Childer's Dinner Table. Walfrid's ettle tae estaiblish the club as a wey fund raisin funds wis, tae the maist pairt, inspired bi the ensaumple o Hibernian F.C. that wis foondit bi immigrant Erse fowk a few year afore in Embra. On the 28t o Mey 1888, Celtic played thair first offeicial gemme agin the Rangers an wan 5-2 in whit wis describit as a "freendly encoonter". Celtic haed 8 'Guest' players frae Hibernian playin that day. Celtic haes aye haen a historic association wi the fowk o Ireland an the Catholic Kirk. As an ootcome, the club an its supporters haes been embrylt in maiters adae wi sectarianism. At its warst sectarianism haes manifestit itsel in sectarian veeolence; the reproduction o cultural prejuidices; an a perceived anti-Celtic agenda (see History o Celtic F.C. ), that some fans believes tae be a pairt o a mair muckle anti-Catholic bias in Scotland (see Erse-Scots). In the warld o Scotis fitba, sectarianism is oot the control o ony ae fitba club. It is a mair muckle issue, ruitit in social, cultural, historical an religious circumstances. Ne'ertheless, baith Celtic an the Reengers accepts that thay hae a problem wi sectarianism. Baith sides o the Auld Firm admeets that a pairt o thair supporters haes been, an conteenas tae be, guilty o haudin sectarian beliefs an cultural intolerance gaun. In recent times baith Celtic an the Rangers haes taen meisurs tae fecht sectarianism. Warkin alangside the Scotis Pairliment, kirk groups an communities, the Auld Firm haes clampit doun on sectarian sangs, inflammatory banner-wavin, an fashoius supporters, uisin mair muckle levels o policin an surveillance. In 1996, for instance, Celtic stairtit thair Bhoys Against Bigotry campaign, later follaed bi Youth Against Bigotry tae "educate the young on haein ... respect for aw aspects o the community - aw races, aw colours, aw creeds", accordin tae the then chief executive Ian McLeod . Celtic hae aye ettelt tae engage direct wi the fans an bypass the tradeitional media ootlats as a wey o gettin mair accurate information tae the ootside warld aboot the inner warkins o the club. Whan Jock Stein wis Celtic manager, he stairtit a trend in Breitish fitba that becam kent as the "tracksuit manager", whaur he traint in public wi the playin staff an hostit media/press conferences. In 1965 Celtic publisht the The Celtic View, the Unitit Kinrick's first e'er fitba club newspaper. In 2004 Celtic lencht its ain deigital TV chainel Celtic TV available in the Unitit Kinrick throu Setanta Sports on satellite an cable. Syne 2002 Celtic's internet TV chainel, Channel67 (kent afore as Celtic Replay), haes braidcast Celtic's ain content oot ower the hale warld, fends live gemme coverage tae subscribers ootwi the Unitit Kinrick, an nou haes 3 online chainels. Efter a draw in the openin gemme o the saison, Celtic rack up a recort-settin 25-gemme winnin run, nou a Breitish recort in tap-level fitba, giein Celtic a halthy lead in the teetle race. Celtic didna loss a gemme till efter the club's 39t championship wis won. The 2003-2004 saison saw Celtic rack up fower league wins ower the Reengers an aw, an ane in the Scots Cup - the first time in aither club's history whan a five-match "whitewash" haed been won at. Club hero Henrik Larsson played his feinal professional gemme for Celtic in the 2004 Scots Cup Final win ower Dunfermline, scorin twa goals, wi Bulgarian Stilian Petrov's goal follaein Larsson's goals tae owerturn an early setback, an haundin Celtic thair seiconi dooble unner Martin O'Neill. Larsson is nou widely thocht tae be ane o the club's greatest e'er players, an ranks amang the tap three goalscorers in the club's history. Follaein a close race for the SPL title, wi the Rangers follaewin close, the club raxed thair lead at the tap o the SPL table tae twa pynts as thay lined up for the feinal gemme o the saison, wi a win at Motherwell F.C. needit for tae win the title. Wi twa meenit left on the clock, Celtic wis winnin 1 – 0 — a result wthat wad hae haundit thaim the league. Houe'er, Motherwell's Scott McDonald nettit twa feenal-meenit goals giein the Fir Pairk side a wanchancy victory. Rangers defeatit Hibernian F.C. 1 – 0 at Easter Road, winnin the league championship title forby. Earlier in the saison Celtic recordit a recort sievent straucht win ower ceity rivals the Rangers. Celtic ended the saison ae week efter wi an 1–0 win ower Dundee United F.C. in the Scots Cup Feinal, that wis merkit bi fans as Martin O'Neill's feinal gemme as manager. On 25 May, 2005, O'Neill annoonced he wad staund doun as manager o Celtic at the end o the 2004/05 saison alang wi first team coach Steve Walford an asseistant manager John Robertson. It wis widely reportit that O'Neill decidit tae tak time oot o fitba for tae tak care o his seek wife Geraldine, wha is ill wi lymphoma. Martin O'Neill is nou seen as as Celtic's maist successfu manager syne Jock Stein, third greatest efter Stein an Willie Maley an is creditit wi helpin tae restore some pride in Celtic's abeelity tae compete on the European stage. Umwhile Aberdeen F.C. player an Scotland internaitional Gordon Strachan frae Embra teuk chairge o the club on the 1st o Juin 2005, on an ae year rowin contract, seemilar tae O'Neill's deal wi the club; his contract effectively extendin for ae year frae ony current date. Garry Pendrey wis appyntit as Strachan's asseestant manager. In his first competitive match, agin Artmedia Bratislava on the 27 Julie 2005, Celtic lost 5-0 in the first leg o an important Champions League 2nt Roond qualifeer, sufferin thair maist muckle European defeat in the club's history an the widest mairgin o defeat syne the 1963-64 saison, whan the club lost 6-0 tae Kilmarnock F.C. at Rugby Pairk. In Strachan's first domestic match o the 2005-2006 SPL saison, Celtic threw awa a 3-1 hauf-time lead ower Motherwell F.C. at Fir Pairk on 30 July 2005, the gemme endin in a 4-4 draw efter Celtic managed tae equalise throu a goal bi Craig Beattie. The nine goals agin Celtic in Strachan's first twa competitive gemmes is the maist muckle goal tally scored agin the club in successive gemmes for 14 year. In the return leg o the Champions League 2nt Roond qualifeer agin Artmedia at Celtic Park, Strachan's vastly improved side won 4-0 but wis knockit oot frae European competeition 5-4 on aggregait. Houe'er, follaein thir setbacks, an a defeat agin the Rangers in the pair's first gemme o the saison at Ibrox, Celtic recordit a series o wins, includin beatin Rangers twice, an returned tae the tap o the SPL - a vast betterment o thair form at the stairt o the saison. Celtic knockit airch rivals Rangers oot the League cup on the 19t o November 2005. Celtic wis knockit oot the Scots Cup on the 8t o Januar 2006 bi First Diveesion Clyde F.C. Celtic beat Rangers again on the 12t o Februar tae mak it 17 wins frae the last 21 Auld Firm gemmes. Celtic won the CIS Cup, wi a 3-0 win ower Dunfermline Athletic F.C. on the 19t o Mairch. Thay hiv awready creatit a new scorin recort for the SPL, an 8 - 1 victory agin Dunfermline on the 19t o Februar 2006. On the 5t o Apryl 2006 Celtic won thair 40t teetle thanks tae a goal frae John Hartson in a 1-0 win agin Herts at Celtic Pairk. The title wis Celtic's fowert title in sax year. This feat wis won at wi sax gemmes remainin tae the end o the saison an afore the SPL spleet. The Bhoys liftit the SPL trophy on Easter Sunday 2006 at hame tae Hibernian F.C., efter a 1-1 draw. In April 2006, Celtic's reser an Unner-19 teams won thair championships an aw, makkin a clean soop o Scotland's league competeetions. It wis the fift consecutive league title for the reser team. The Scottish Cup feinal win agin Aiberdeen F.C. in 1938 wis attendit bi a croud o 146,433 at Hampden Park in Glesgae, that's aye a recort for a club match in European fitbaw. Celtic nou hauds the Unitit Kinrick recort for an unbeaten rin in professional fitba: 62 gemmes (49 won, 13 drawn), frae the 13t o November, 1915 tae the 21st o Apryle, 1917- a tot o 17 month an fower days in a (thay lost at hame tae Kilmarnock F.C. on the last day o the saison). Awtho this wis durin the 1st Warld War years. Celtic hauds the SPL record for an unbeaten rin o hame gemmes an aw (77), gaun frae 2001 tae 2004 (this rin wis feinishit bi a 3-2 loase tae Aiberdeen oan 21 April, 2004), an the record for the maist lang run o consecutive wins in a single saison (25 matches). Recort Win: 11-0, agin Dundee in 1895. Recort loss: 0-8 agin East Stirlingshire F.C. in 1937. Recort Hame loss: 0-5 agin Heart of Midlothian F.C. in 1895. Recort post war hame loss 1-5 Aiberdeen 1948. The fower Recort European wins 9-0 KPV Kokkola (Finland), 1970. 8-1 Suduva (Lithuanie), 2003. 7-0 Waterford (Rep.Ireland), 1970, 7-0 Valur Rekjavik, 1975. Recort European defeat: 0-5 agin FC Artmedia Bratislava on 27 July, 2005. Recort win agin the Reengers: 7-1 1957 Scots league cup final. Recort pynts earnt in a saison: 72 (Premier Diveision, 1987/88, 2 pynts for a Win); 103 (Scots Premier League, 2001/02, 3 pynts for a win), that's the SPL pynts tally recort an aw. Recort hame attendance: 92,000 agin Rangers F.C. in 1938. A 3-0 win for Celtic. Maist Scotland Caips: 76, Paul McStay. Recort Appearances: Billy McNeill, 790 frae 1957 - 1975. Maist goals in a saison: Henrik Larsson, 53. Recort scorer: Jimmy McGrory, 468 (plus 13 while on-loan at Clydebank). First Breitish club tae win tae the feinal o the European Cup. First an ae Scots club tae win tae the feinal o the European Cup. First Scots, Breitish an northren European team tae win the European Cup. The ae club in history that's won the European Cup wi a team made frae hame-growen talent (a last fower in 1967, the year that Celtic achieved the feat o winnin ilka competeition thay played in). Haud the recort for the maist muckle score in a domestic cup feinal: Celtic 7 - 1 Rangers, Scotis League Cup Final 1957. Haud the recort for the maist muckle attendance for a club fitba gemme onywhaur in Europe: Celtic v Aiberdeen in the Scots Cup Feinal 1937 at Hampden Park, Glesgae. Offeicial attendance 146,433. Unoffeicial attendance 147,365. Haud the recort for the maist muckle attendance for a European club competeition gemme: Celtic v Leeds Utd in the European Cup semi-feinal 1970 at Hampden Park, Glasgae. Offeicial attendance 133,961. Fastest hat-trick in European Club Fitba - Mark Burchill v Jeunesse Esch o Luxembourg in 2000. Earliest SPL Championsheip wan. Wan wi sax gemmes tae gae again Hearts oan 5 April 2006. European Champions Cup (1): 1967. Runner-up 1970. Scottish League Champions (40): 1893, 1894, 1896, 1898, 1905, 1906, 1907, 1908, 1909, 1910, 1914, 1915, 1916, 1917, 1919, 1922, 1926, 1936, 1938, 1954, 1966, 1967, 1968, 1969, 1970, 1971, 1972, 1973, 1974, 1977, 1979, 1981, 1982, 1986, 1988, 1998, 2001, 2002, 2004, 2006. Scottish Cup (33): 1892, 1899, 1900, 1904, 1907, 1908, 1911, 1912, 1914, 1923, 1925, 1927, 1931, 1933, 1937, 1951, 1954, 1965, 1967, 1969, 1971, 1972, 1974, 1975, 1977, 1980, 1985, 1988, 1989, 1995, 2001, 2004, 2005. Scottish League Cup (13): 1957, 1958, 1966, 1967, 1968, 1969, 1970, 1975, 1983, 1998, 2000, 2001, 2006. Jimmy McGrory - 468 (McGrory alsae hauds the recort for the maist professional career league goals in Breitish fitba history). Riordan - Hibernian F.C. (Nae eligible tae play till 18 Januar, 2007). Miller - Wolverhampton Wanderers F.C. - Free. The foallyin team wis votit the greatest eer Celtic team bi supporters in 2002. 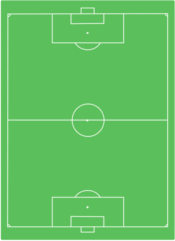 Wikimedia Commons haes media relatit tae Category:Celtic F.C..
↑ "First team". Celtic FC. Retrieved 28 February 2017. This page wis last eeditit on 6 Februar 2019, at 22:31.